I would love to design more of these, so if you have a favorite verse, quote, or hymn you'd like to see, let me know in the comment section below! These are fantastic Dina! I love the hymns! Love them all! I've got about four of these word background stamps on my wish list and you've used two of them. Great cards!! Fun unexpected colors on the chalkboard card. 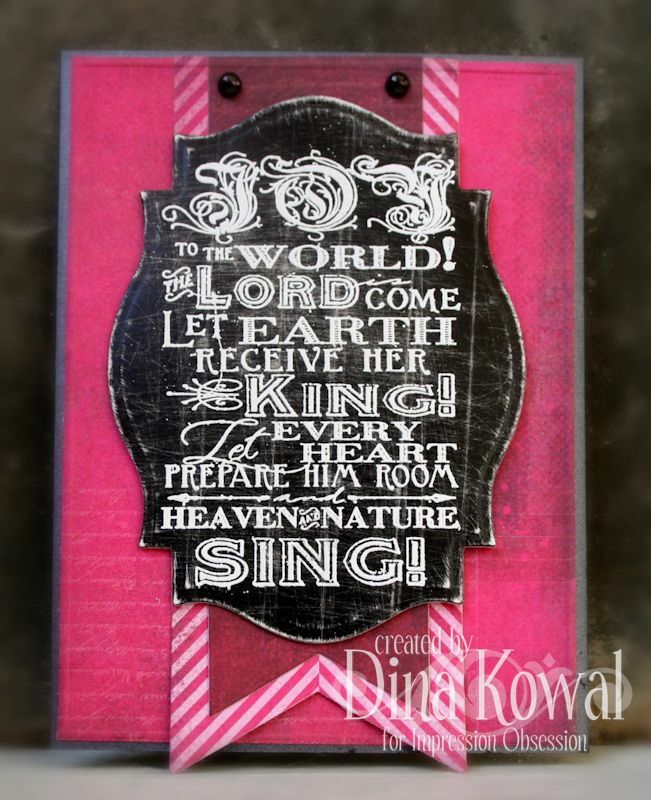 Love the details on the bible verse,(beautiful stamp). And the water color poinsettia background is stunning. I love the scriptures and hymn stamps. Wow Dina, they're all lovely, but the last one with the poinsettia background is gorgeous. TFS and thanks for the chance to win. Awww! I love all of them! You did a wonderful job. Please include Psalm 46.10 "Be still and know that I am God". Love your work and these stamps are favs! Great cards. I like the chaulkboard technique. It's so popular right now. I wouldn't have thought to try that technique. Thanks for the inspiration. I'm really liking the chalkboard trend. Your vine and flowers are beautiful. Love your use of the Watercolor Poinsettia for the background - really beautiful. Dina, I am liking these stamps with the bold letters and various scripts. These all look pretty simple to put together. Really liked those flowers along the side of the second one. One of my friends always says to his children as they leave the house: Let's o make some NEW memories. A favorite saying is something like this: Life isn't about the breathe we take, its about the moments that take our breathe away. What lovely cards and stamps!! Pretty cards! Love the chalkboard look but haven't tried it yet! Love the chalkboard look! Your quotes, fonts and layouts are beautiful. Thanks for sharing! Your cards are beautiful. The stamps are now on my wish list, thank you. Look at all the great options and variety! FAB! Love the chalkboard effect. Makes me want to get started on my Christmas cards already. You had me at Chalkboard, love the look so much! 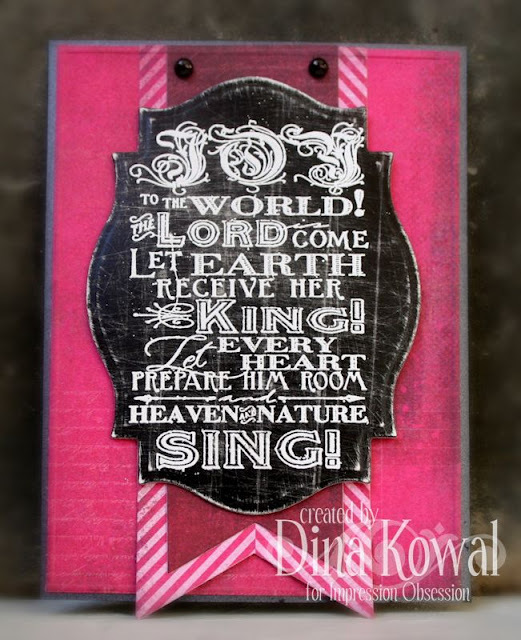 LOVE these chalkboard scriptures, Dina! Fantastic ideas, they're going straight onto my wishlist! I love these! Would love to see more of them too. How Great Thou Art is one of my very favorite hymns. Beautiful cards too, I especially love the first one. Beautiful cards - love all 3 sentiments!! Gorgeous verse cards! Beautiful cards to go with the stamp. So cool that you designed the sets. I have a lot of favorite verses, I am going to get back to you! Beautiful cards. I love all of the flowers. Great cards!! I love the flower border you created on the second card, and the background on the last. Awesome job! I like the way you framed the verse with the spiral flowers and used the patterned paper for the leaves. 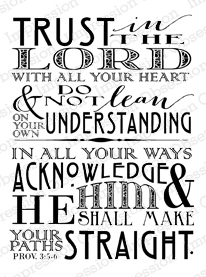 I love these sayings, I do some church cards so they would be so great to have. Lovely & encouraging cards!! Happy to see these in larger print......finally! Beautiful cards! I like Ephesians 2:8 For it is by grace you have been saved, through faith—and this not from yourselves, it is the gift of God. Those are wonderful religious phrases. I think I will write them on my wish list. Awesome cards made with them as well. Love love the new designs and chalk board look. Love love these new designs and chalk board look. Love these new stamps and your cards. I love how you highlight the sentiments without overpowering the words and yet embellish so perfectly! As I viewed your beautiful cards, my first thought of a verse was exactly the same as Loly mentions above: Be still and know that I am God. So, Psalms 46:10 now has 2 votes! All very nice but the middle card was the one I liked best. Guess it was the color scheme that spoke to me. 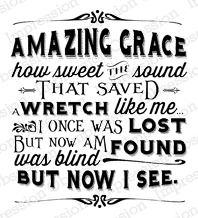 I love to sing Amazing Grace. Psalms 46:1 is always a nice one. these are all beautiful! i love the backgrounds and the colours; they make the quotes pop. The cards and sayings are just Beautiful. I love the chalk board images too. Not really my thing, but I do like the chalkboard look and the way you ran the flowers down the side of the second one. I really love these word stamps. These are beautiful stamps and your cards are just as beautiful! 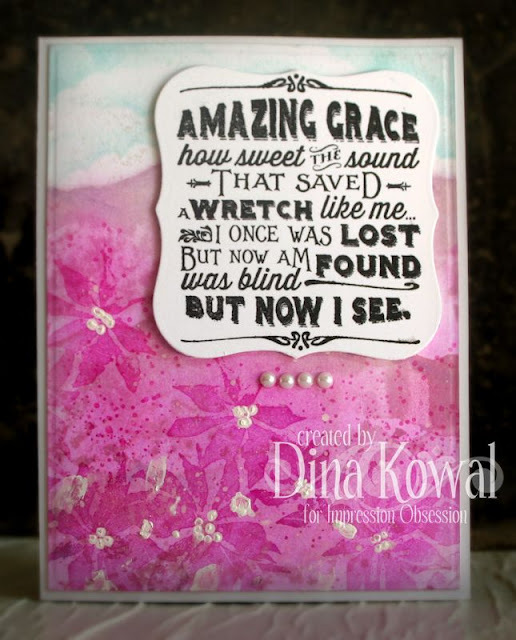 Hi, Dina -- what amazing sentiment cards! I so want to try the chalkboard technique asap. Thanks for the inspirations. 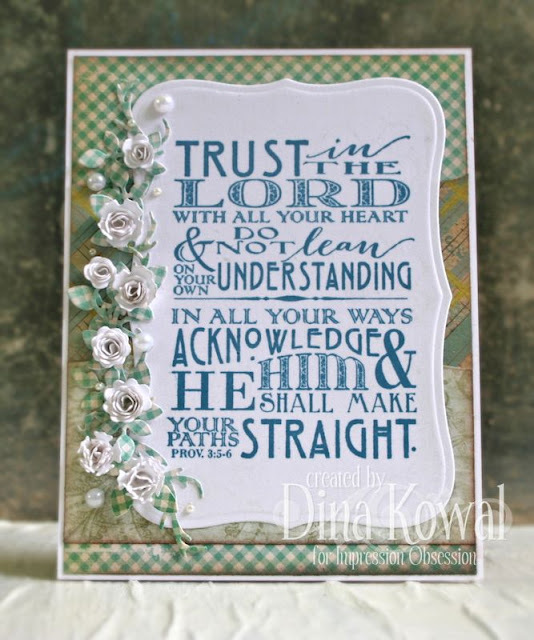 I always thought Romans 15:13 would make a wonderful blessing/prayer on a card and might be just about right for this style! Absolutely love how you've designed these stamps and then used them in your creations! Very impressive and beautiful...would love to have these stamps...my list is growing!! I too love your verse layouts and fonts. Your stamps are really spot on and I hope you have a long run at designing them. 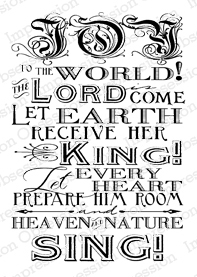 I would love to have a stamp in the style as above for: 1 Cor 4:1, Thus should one regard us, as servants of Christ and stewards of the mysteries of God.